219th / 19th BB Camp in Skegness, England, 1973. 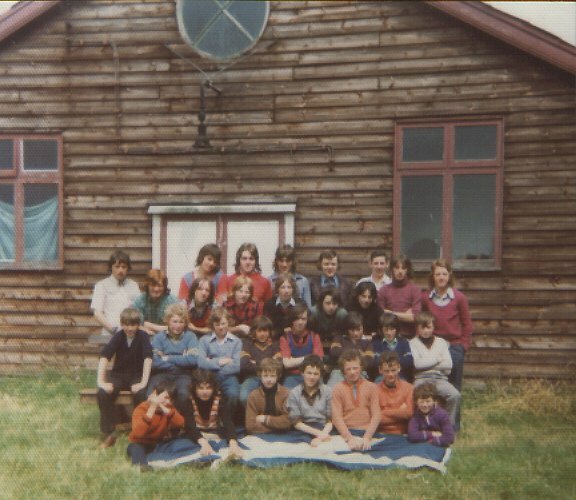 The 19th BB company came from Castlemilk East Church and every year we amalgamated to have a joint summer camp. I'm standing in back row last on the right, wearing a nice shirt with purple tank-top! "..I remember the whole camp going to see the late comedian Tommy Cooper at the old Pier, He did this sketch where he walked into the mike stand and said sorry mike. We thought this was hilarious as it referred to Mike Middleton!..." Any stories from this BB camp?...e-mail me.